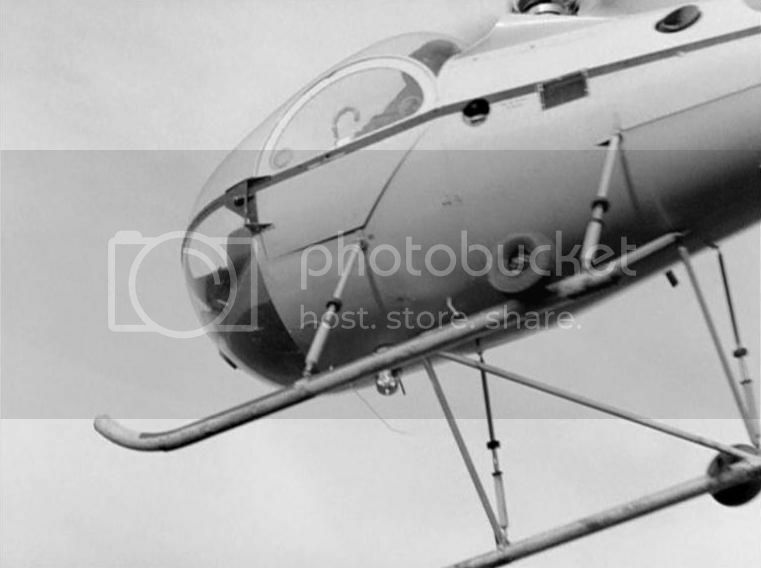 I just learned what it turns out managing director of RBA helicopters, John E. Underhill, was as a pilot of helicopter in tag of Avengers episode What the Butler Saw (1966). 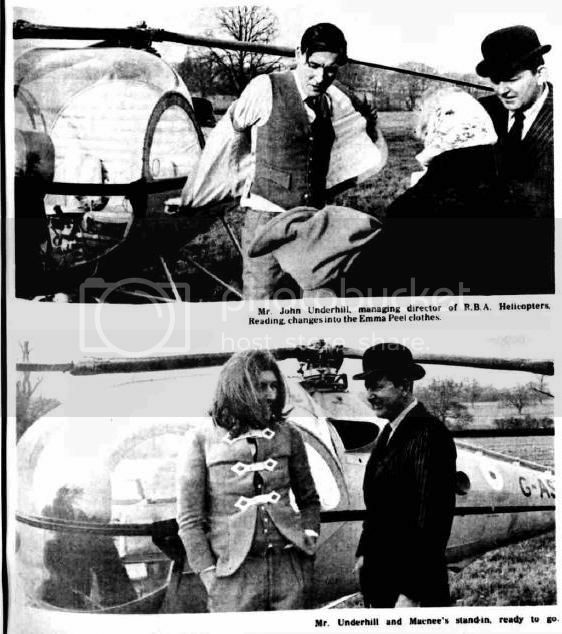 This is confirmed by the photos in the newspaper Reading Evening Post, dated by 19 January 1966. He was dressed in the costume of Emma Peel and a female wig, although he did not get into the final footage of episode - we only watch for the stand-in of Patrick Macnee on screen.